If you are a Player/Lawyer/Not-a-lawyer , then this is your page! 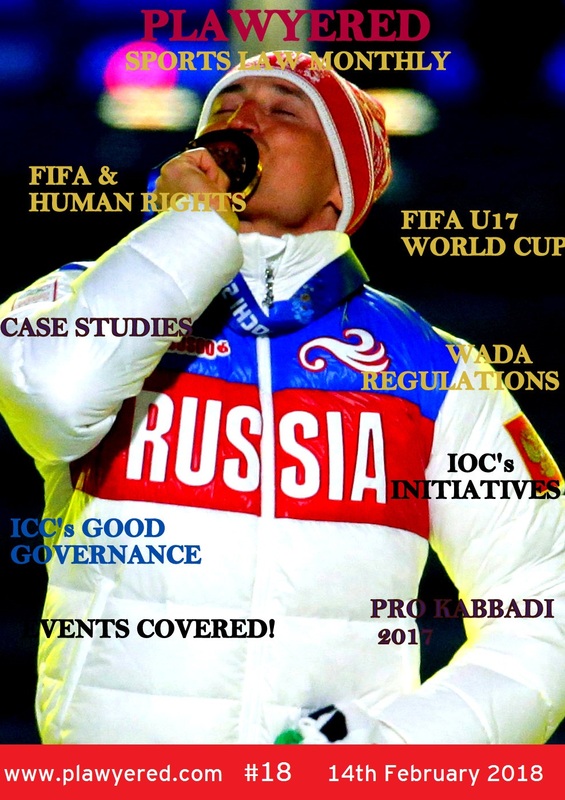 Keep yourself updated with all the sports laws across the world. She is currently pursuing BALLB from Chanakya National Law University, Patna. She is a sports enthusiast and a big fan of cricket. It is her love for sports that made her come up with this portal. Apart from this, she also holds the experience of working with several legal portals. She is also the editor-in-chief of Pragamana: International Journal on Rural Development & Allied Issues. She is currently pursuing BA.LLB at Chanakya National Law University, Patna. She is associated with several social work activities and awareness programmes/workshops, etc. At present, she is the Student coordinator at CLAT Junction , India’s leading Portal for CLAT preparations. She takes keen interest for the betterment of the differently abled CLAT aspirants through PROJECT SWABHIMAN, where she has been serving as the Project Manager since last 2 years.